It has never been easier to save with Lisintsevo vacation packages on Expedia. You'll have plenty more time to organize your exciting experiences — and more spending money! Up to C$590* can be saved when you arrange your package deal on Expedia. With more than 400 partner airlines and 321,000 properties to pick from on our global database, you won't have any problems planning your ideal vacation. You don't have to worry about changing your travel plans, as we don't charge additional cancellation fees for almost all of our hotel bookings. There are heaps of awesome things you can do when you're in a new destination. So why not get your trip to Lisintsevo off to a sensational start by perusing some of our top tips? After all – out there starts here! Discover intriguing ideas and sensational artwork at Podolsky Showroom. It maintains a rotating schedule of exhibits that are sure to interest art enthusiasts. There's an excellent range of things to do in and around this destination. 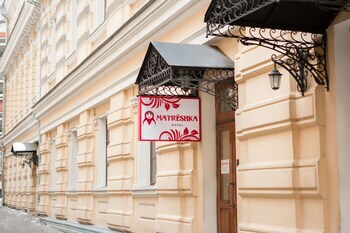 If you've got an investigative mind, stop by House Museum of BL Pasternak. You never know what you'll discover here! Still got time on your hands? The wider area offers a few fantastic opportunities to spend time in nature. Why not treat yourself to a little outdoorsy fun and try ice skating? As there aren't any Lisintsevo properties listed with Expedia, you may find it convenient to stay in Khatminki, just 8 miles (13 km) away. 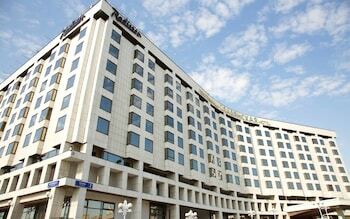 The Alexandria Vnukovo Hotel and Hotel Complex Uyut are the best options in Khatminki. Vnukovo International Airport (VKO) is 13 miles (21 km) northeast of the main area of Lisintsevo. Pull your bags off the carousel, hail a taxi and get your vacation started! 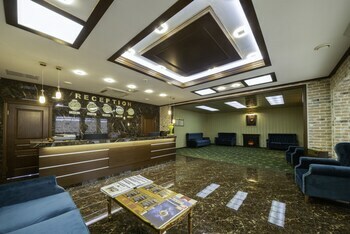 Situated near the airport, this hotel is 0.7 mi (1.1 km) from Vnukovo Airport Public Museum of Battle and Labor Glory and within 9 mi (15 km) of House Museum of BL Pasternak and State Memorial Museum of Bulat Okudzhava. Biznes-Park Rumyantsevo and Odintsovo Museum of History and Local Lore are also within 9 mi (15 km). Lapshinka Vnukovo Aeroport Station is 7 minutes by foot. 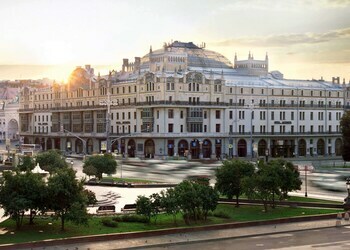 Located in Leninsky District, this hotel is within 9 mi (15 km) of Vnukovo Airport Public Museum of Battle and Labor Glory, Gorky Park, and Moscow State University. Metro Museum and Novodevichy Convent are also within 12 mi (20 km). 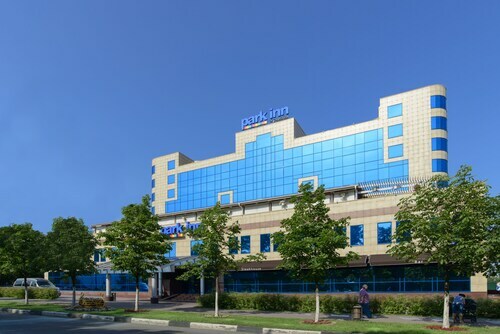 Located in Leninsky District, this hotel is 2.2 mi (3.5 km) from Vnukovo Airport Public Museum of Battle and Labor Glory and within 9 mi (15 km) of Biznes-Park Rumyantsevo and Peoples' Friendship University of Russia. 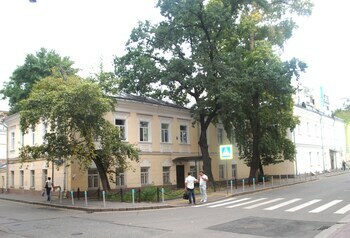 House Museum of BL Pasternak and Skolkovo Institute of Science and Technology are also within 12 mi (20 km). 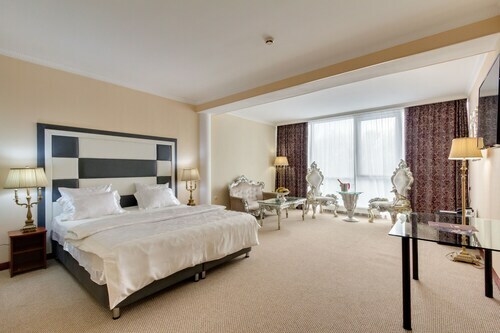 Situated in Vnukovo, this hotel is 1.4 mi (2.3 km) from Vnukovo Airport Public Museum of Battle and Labor Glory and within 9 mi (15 km) of House Museum of BL Pasternak and State Memorial Museum of Bulat Okudzhava. Odintsovo Museum of History and Local Lore and Biznes-Park Rumyantsevo are also within 9 mi (15 km). 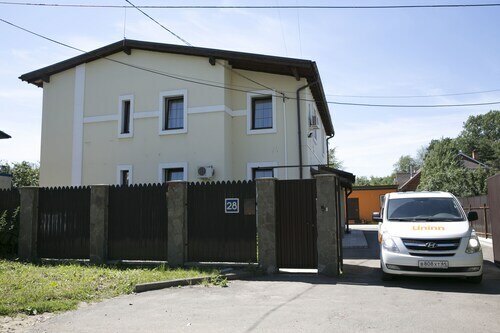 Located in Odintsovsky District, this hotel is 0.7 mi (1.1 km) from Odintsovo Museum of History and Local Lore and within 6 mi (10 km) of Meyendorff Castle and House Museum of BL Pasternak. State Memorial Museum of Bulat Okudzhava and Skolkovo Institute of Science and Technology are also within 9 mi (15 km). 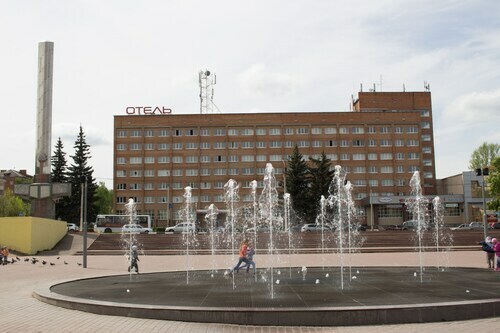 Odintsovo Station is 21 minutes by foot and Odintsovo Otradnoye Station is 27 minutes. 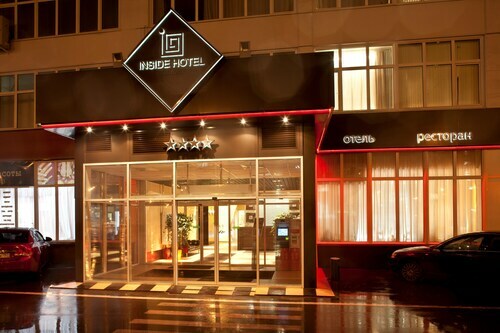 Located in the heart of Podolsk, this hotel is within 25 mi (40 km) of Bitsa Park, Prince Plaza, and Kolomenskoye Historical and Architectural Museum and Reserve. Biznes-Park Rumyantsevo and Moscow State University are also within 25 mi (40 km). 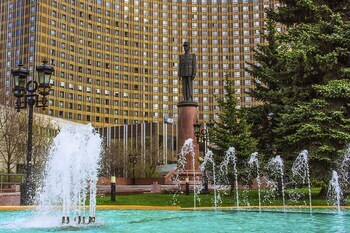 Set in Moskovskiy, this family-friendly hotel is within 9 mi (15 km) of Biznes-Park Rumyantsevo, Prince Plaza, and Bitsa Park. 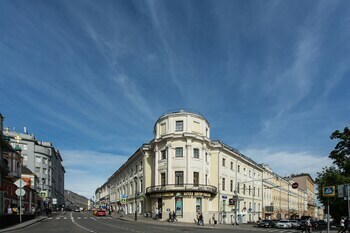 Orlov Museum of Paleontology and House Museum of BL Pasternak are also within 9 mi (15 km). 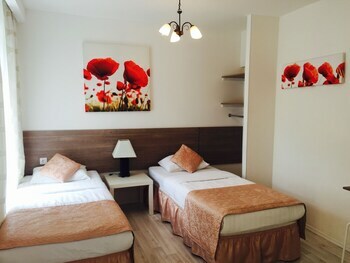 Situated near the airport, this hotel is 0.6 mi (1 km) from Vnukovo Airport Public Museum of Battle and Labor Glory and within 9 mi (15 km) of House Museum of BL Pasternak and Biznes-Park Rumyantsevo. State Memorial Museum of Bulat Okudzhava and Odintsovo Museum of History and Local Lore are also within 9 mi (15 km). Lapshinka Vnukovo Aeroport Station is 24 minutes by foot.